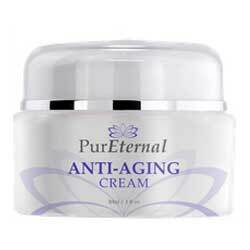 PurEternal Anti-Aging Cream Review: What does it really do? PurEternal Anti-Aging Cream is a cream containing peptides which states it hydrates skin, increases levels of collagen, and reduces wrinkles. In an online search, the average cost of the cream was $25 plus shipping and handling. However, some sites sell the cream for as much as $94.95. Customers can sign up for a trial PurEternal Anti-Aging Cream directly from the manufacturer’s site. No money-back guarantee is mentioned on the product’s site. Hyaluronic acid: A chemical that is naturally found in the body, hyaluronic acid attracts moisture and assists in the reduced appearance of wrinkles and increasing skin volume. It also helps PurEternal have a low instance of side effects because the formula includes an ingredient that is found in the body. Matrixyl 3000: These are two peptides that work together to increase the amount of collagen in the skin’s outer layer. It turns on the skin’s reparation process by making the epidermis been there has been a minor abrasion. This forces the reparation process to begin, resulting in increased collagen levels. Inactive or additional ingredients are not listed on the product’s site. The manufacturer does not list directions for the product, but it is believed to work the same as other similar products on the market with its same target niche. PurEternal includes hyaluronic acid, which naturally occurs in the body and can help reduce the risk of side effects. It also contains peptides that stimulate the skin to increase levels of collagen necessary to improve the skin’s appearance and elasticity. The manufacturer also has a free trial program available so consumers can try the product and make an informed decision. The skincare community agrees that the active ingredients used in the product are proven and effective anti-aging ingredients in other products as well. Though both main ingredients are known for their anti-aging properties, the concentration of these products is not listed in the manufacturer’s website. No inactive ingredients are listed, which could be an issue for people with sensitive skin or allergies who require this information to make the best choices for their skincare regimen. The cost of the cream also varies widely. No money-back guarantee is listed on the manufacturer’s site, which means consumers must research this option with individual vendors. PurEternal Anti-Aging Cream seems like a reasonable choice for people who are interested in preventing or smoothing wrinkles and improving the overall look of one’s skin. The product contains hyaluronic acid, which is naturally found in the body. 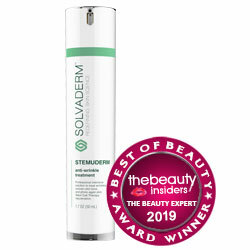 The peptides listed in the formula also help keep the skin moisturized. The manufacturer offers a sample of the product upon request but does not list directions on its site. Furthermore, the cost of the cream can be an issue and not all ingredients are listed, nor is their concentration mentioned in the manufacturer’s site. The product seems to do what many other anti-aging creams do, but at higher costs.